There are 2 types of people when it comes to gift-giving: wrapping the gift WITH or WITHOUT a greeting card. 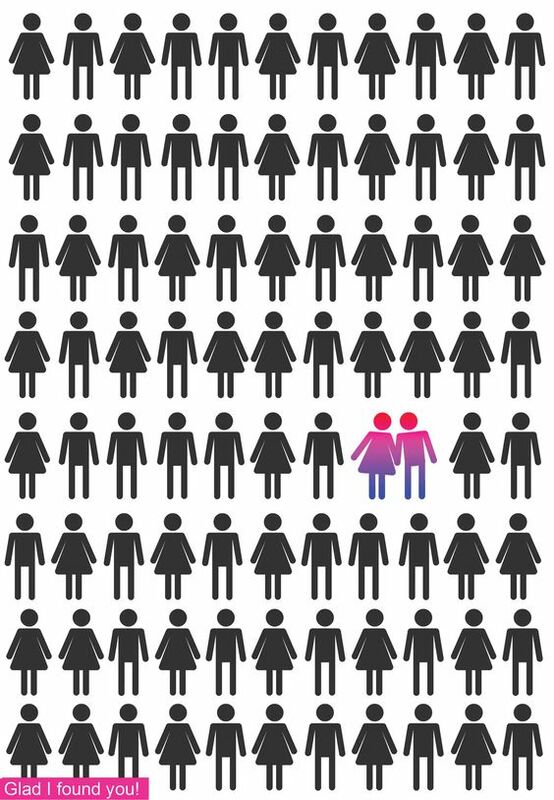 If you are the second type, we get it. 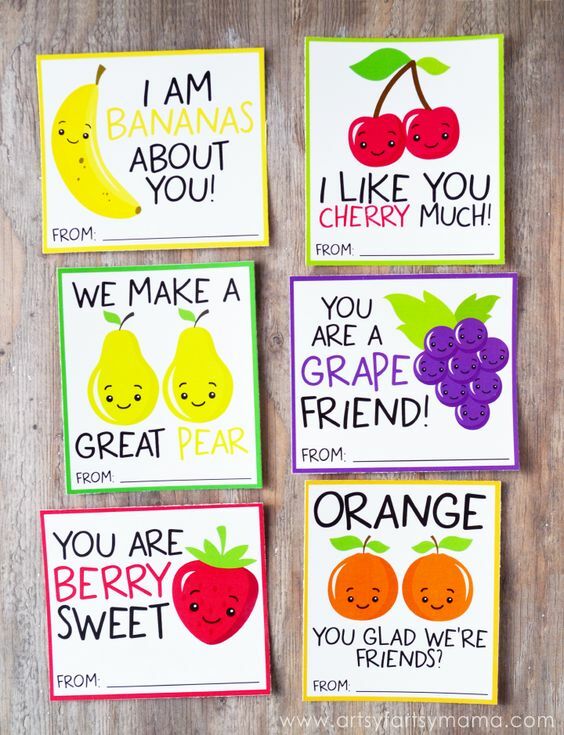 It’s not always an easy thing to “compose” a greeting message, leave alone filling all the empty space in the card. 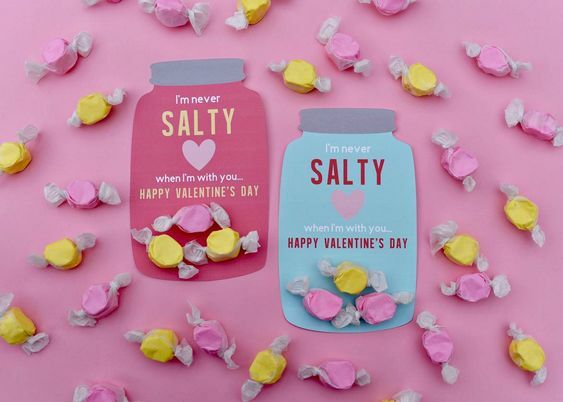 So we’ve sniffed around and gathered 105 amazing free Valentine’s Day printables that are going to do the talking for you (so you don’t need to). The best part? 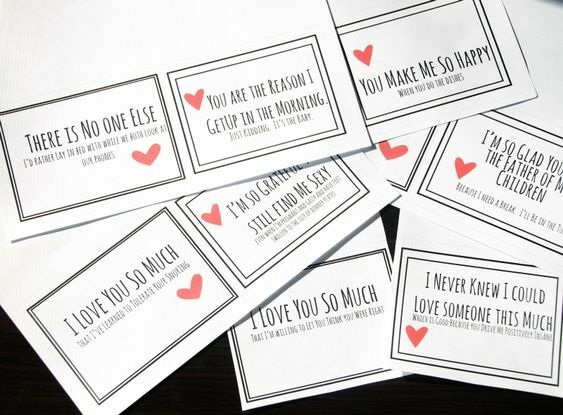 These are not any traditional love card that drowns your bae with romantic quotes. They are funny, some are even hilarious. 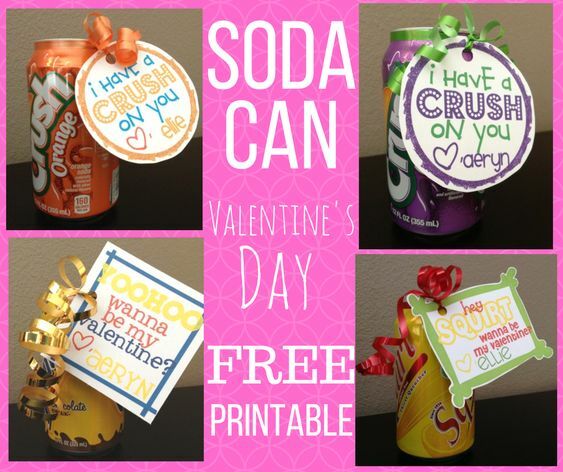 They can either be printed out as greeting cards to sneak into your Valentine’s Day gift, care packages or gift tags to compliment your homemade goodies. Get your printer ready. Now onto the ideas! What I feel for you is so much more (than financial and family obligation). You make me so happy (when you do the dishes). 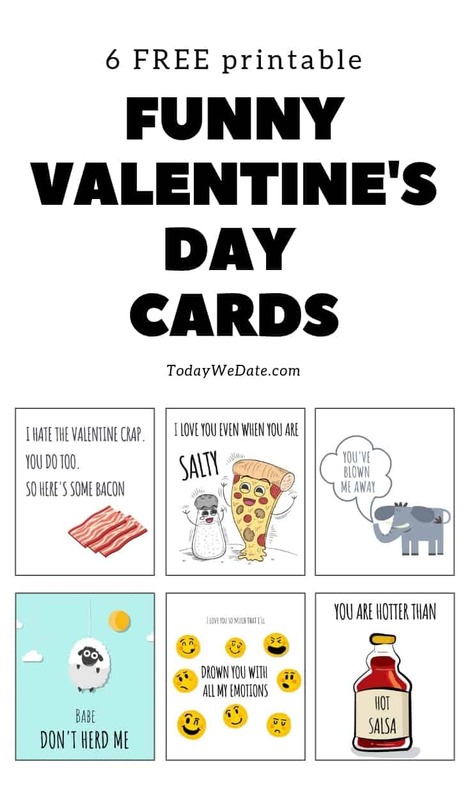 I love you so much (that I learned to tolerate your snoring). You are the reason why I get up in the morning (Just kidding. It’s the baby). I am so glad that you are the father of my children (Because I need a break. I’m still in the tub). I’d spend all 9 lives with you. I am no photographer. But I can see us together. 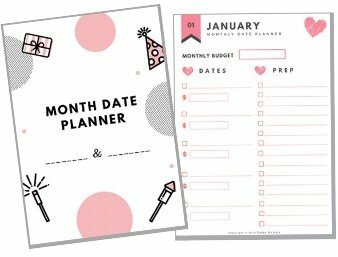 These cute Valentine’s Day printables are perfect for your foodie boyfriend, hubby or your friends. They GOUDA love it! 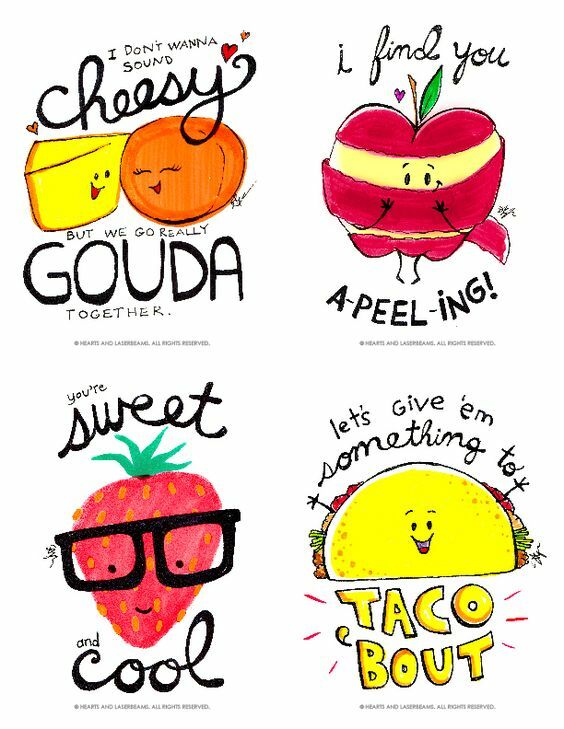 If you are scrolling Pinterest for some Valentine’s Day ideas for kids, these 50 food pun printables from Shari’s Berries are tailor-made for you. 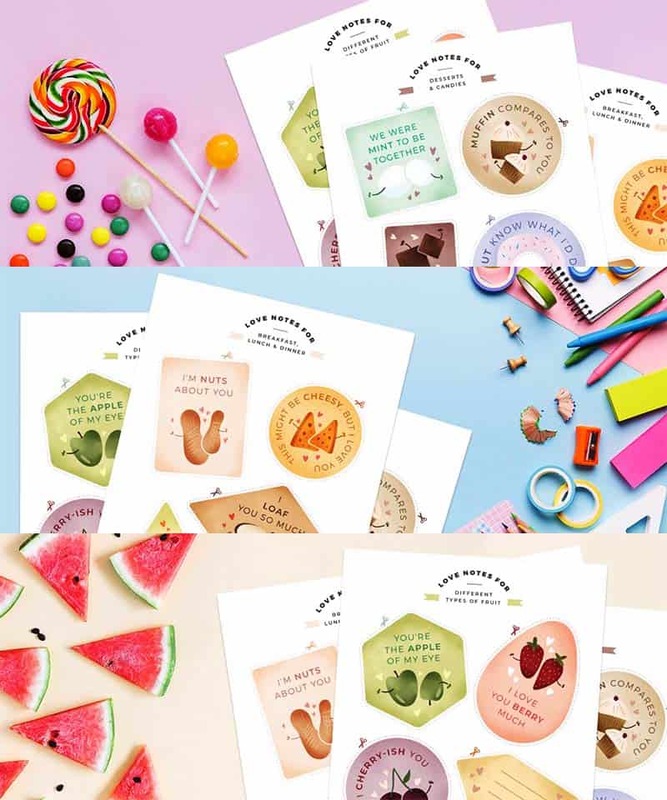 Use them as lunchbox notes to show how much they are loved! 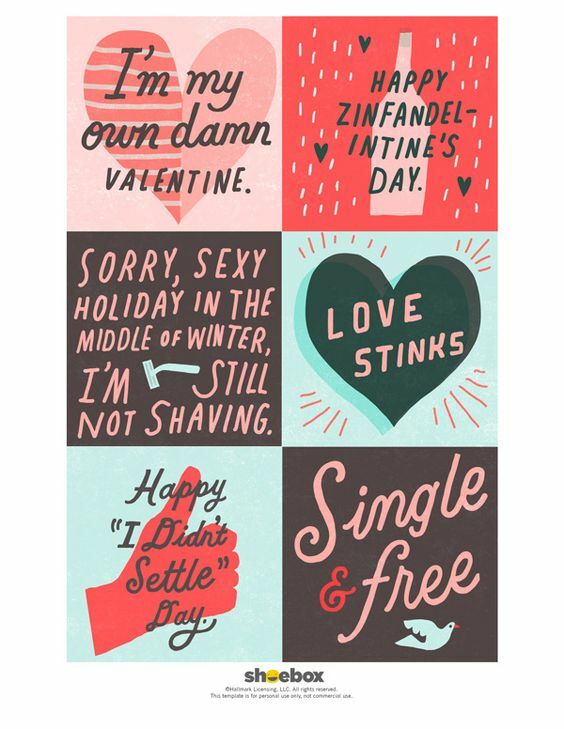 If your bestie is still single, these Valentine’s Day cards can be a perfect invitation for a Galentine’s Day. 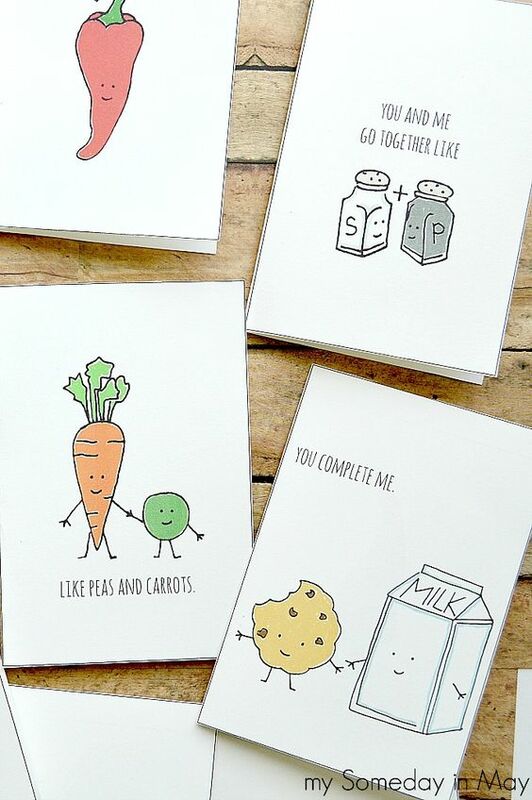 These cards are so ADORABLE! 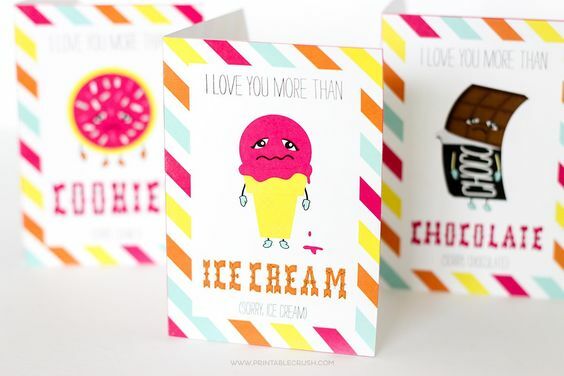 Ice-cream, chocolate and cookies are 3 things that no one can say no to. 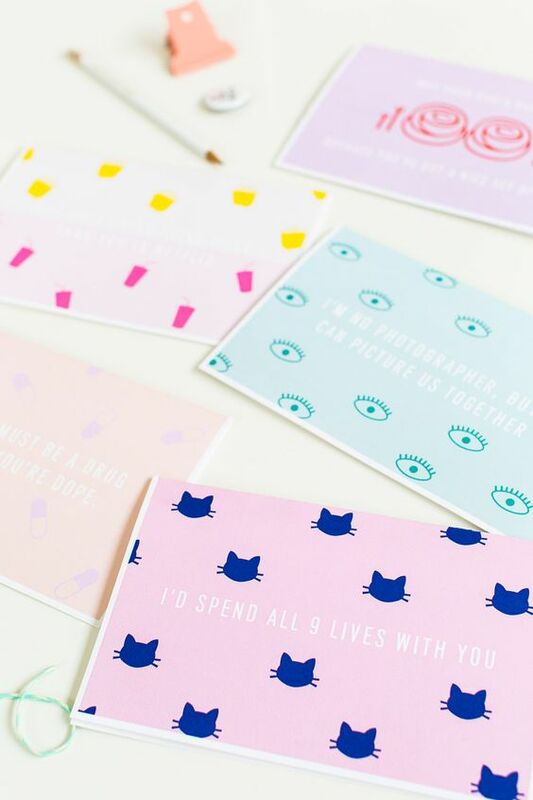 Check them out here on Printable Crush.